Walla Walla Community College is located at the foot of the Blue Mountains in Southeastern Washington State. The college offers a wide array of academic transfer degree programs as well as more than thirty technical and paraprofessional programs. The twin communities of Walla Walla and College Place play host to Walla Walla Community College, Whitman College and Walla Walla University – which adds a distinct educational and historic flavor to the Walla Walla Valley. Walla Walla offers four distinct seasons with access to a variety of activities such as skiing, hunting, camping and hiking. Walla Walla is only minutes away from the Walla Walla, Snake and Columbia Rivers – home to world class fishing and aquatic adventures. In the town itself, Walla Walla is home to numerous wineries, art galleries and fine dining opportunities which combine with the historic and agricultural nature of the surrounding area to provide a unique learning environment for our students. Walla Walla Community College offers a wide variety of athletic opportunities for prospective student athletes. In the Fall, Warrior Field on the front of campus hosts Men’s and Women’s Soccer, while Volleyball takes center stage in the Dietrich Center – often referred to as ‘The Dome’. The Winter quarter sees The Dome taken over by the Men’s and Women’s Basketball while the Spring months offer Baseball, Softball, Men’s and Women’s Golf and Rodeo. The Warriors play in the Northwest Athletic Conference (NWAC) – the largest independent association of community colleges in the country. Prospective students should apply online and free of charge through Walla Walla Community College Web Admissions. Admissions can also be reached by phone with questions at 509-527-4283. Students can refer any questions regarding programs of study, academic advising, or transfer opportunities to the Advising and Counseling Center – located in the main building in the middle of campus. They can be reached at 509-527-4262. Walla Walla Community College provides student athletes with many different opportunities to help defray the costs of a college education. Financial Aid can be offered in eform of direct athletic employment on campus in a wide variety of student work-study programs as well as applying directly through our Financial Aid Office for need based aid awards. The WWCC Foundation also provides merit and need based scholarships to qualified students. 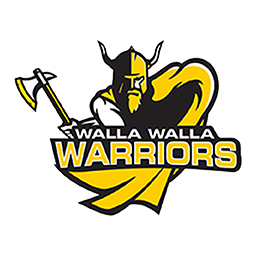 Want to get in touch with a coach at Walla Walla Community College and find out more about the program? Simply fill out the recruiting questionnaire linked to the top of this page and we will be sure to get some information to you as soon as possible. You can also contact a coach directly by utilizing the online Athletic Department Directory.